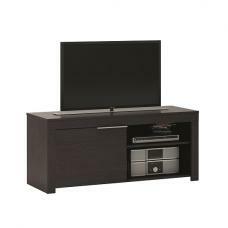 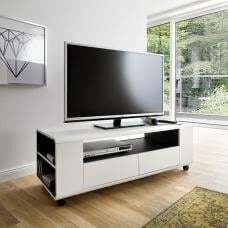 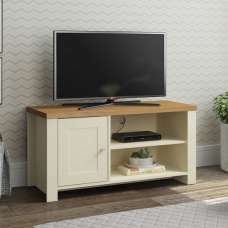 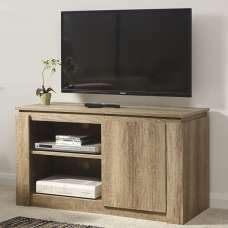 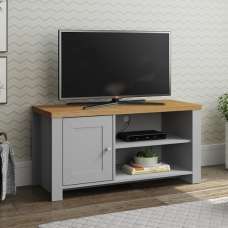 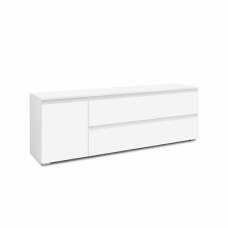 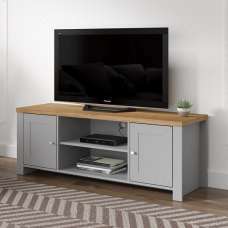 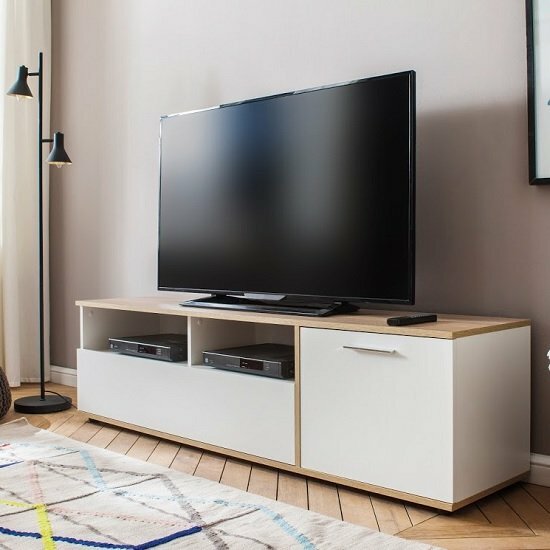 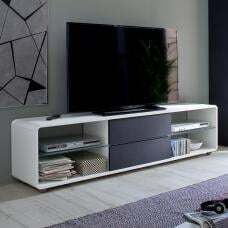 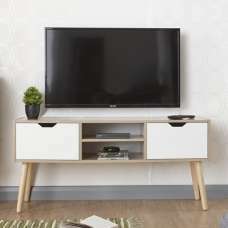 Bayley Wooden TV Stand In White And Light Oak With 1 Door And 1 Drawer, will give an elegant touch and modernity to any home decor. 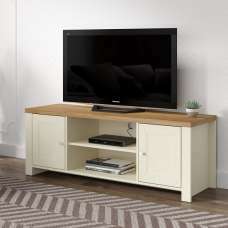 Finished in White and Rough Sawn Light Oak. 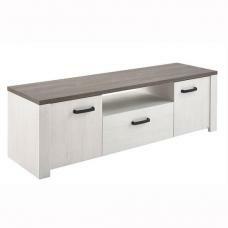 It features 1 Drawer with 2 division, 1 door and 2 open comaprtments with cable passage. 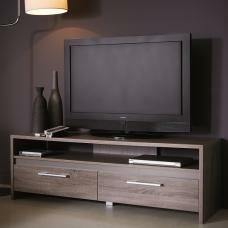 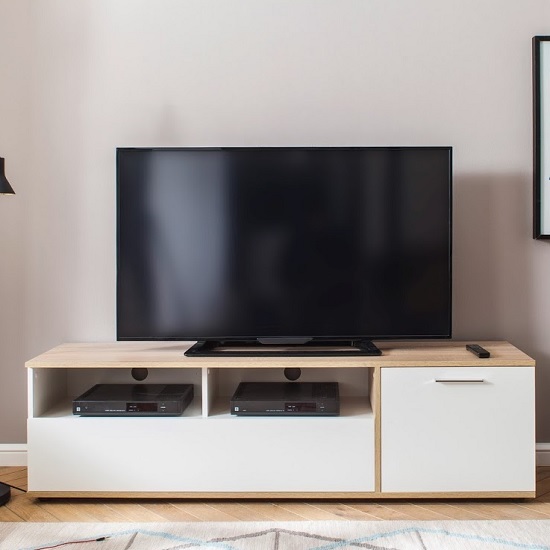 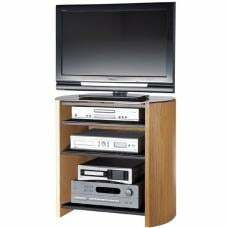 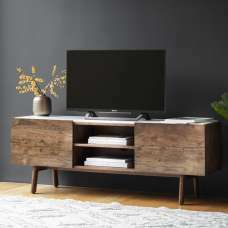 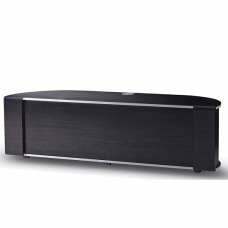 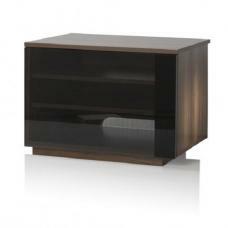 This TV stand offers valuable space for media devices.